I am very happy to announce pre-conference sessions for SQL Saturday Chicago 2018. We were fortunate to receive many submissions, and after careful deliberation the following were selected. Pre-conference sessions will take place on Friday, 16 March 2018. You can find out more about the sessions, pricing, and register using the above links. If you haven’t already registered for SQL Saturday, taking place on Saturday, 17 March 2018, registration is also open for that, however we are currently filling a wait list. Registering for a pre-conference session will allow you to bypass the waiting list. 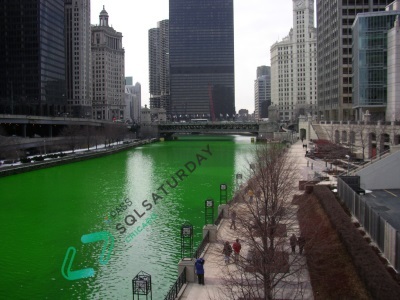 Stay tuned for more SQL Saturday Chicago updates, and I hope to see you there! SQL Saturday Returning to Chicago in 2018! I’m very happy to announce that registration is now open for SQL Saturday Chicago 2018! This year we have a new and larger location! Our event will take place at Benedictine University in Lisle, IL on Saturday, March 17, 2018. If you’re not familiar with SQL Saturday, it’s a free day of training for data professionals, covering a wide variety of topics relating to database administration, database development, business intelligence, and professional development. It’s also a wonderful opportunity to network. Registration for the event itself is free, with an optional lunch provided for $15. Our call for speakers is also open – please submit your session(s) by 25 January 2018! We are always looking for new presenters. One of the founding principles of SQL Saturday is to develop new community speakers, so if you’ve ever wanted to present at an event like this, please consider submitting! Our call for pre-conference sessions is also open! If you are interested in delivering a pre-con, please email abstracts directly to sqlsaturday719@sqlsaturday.com. Pre-conference session abstracts will be accepted until Friday 22 December 2017 at 5:00pm CST. I hope to see you all in March! We also were the first SQL Saturday to use the new logo, which is just one part of the major rebranding project undertaken by PASS last year. At PASS Summit 2016, PASS announced several new logos as part of it’s rebranding campaign. There were new logos for PASS as a whole, SQL Saturday, 24 Hours of PASS, PASS Summit, and Business Analytics. In general they’re not terrible. I actually really like the new PASS logo. The old one just never made sense to me. Was it a St. Andrew’s Cross spider on top of a storm warning flag? (Since Sharknado was a hit, a movie about a hurricane full of spiders is a guaranteed blockbuster, right?) If there was any symbolism behind that old PASS logo, I’ve never heard it. The new PASS logo, on the other hand, has a nifty story behind it. It’s all the different facets that make up PASS coming together into one. I like that. But then there’s the new SQL Saturday logo. SQL Saturday’s new logo is much more refined than it’s predecessor, and it’s very evident that a lot of effort went into these new logos and this rebranding as a whole. That being said, I think the new logo falls short in a few key areas. Second, the typeface used in the new logo is much more modern, and the letters are significantly thinner than the old one. It looks great on a computer screen or when printed on paper, but think about what SQL Saturday logos are used for. In a lot of cases they are embroidered on things like shirts or jackets. Did whoever designed this logo know that? Once again I’ll assume they didn’t, otherwise they probably would have accounted for that. The smaller a detail is, the more difficult/expensive it becomes to embroider, and this logo definitely qualifies. Just look at the PASS logo located inside the SQL Saturday logo. It’s microscopic. We had to use a bolder typeface for the speaker jackets we gave out in Chicago this year; it just didn’t look good otherwise. We also had to make it single-color, and remove the gradients. But by making all those changes, we technically changed the logo, which has become a big no-no in recent years. The SQL Saturday Wiki states: “Per the SQL Saturday license, the event logos provided to you by PASS are not to be altered in any way.” So if changes are necessary to be able to embroider this logo, but it can’t be altered in any way, does that mean organizers will have to run afowl of the license agreement? Or just do away with speaker shirts altogether? I don’t know, and I’m not sure there’s any way to tell. Presenting at SQL Saturday Madison 2017! Spring is upon us! It’s slowly getting warmer outside (with a few final insults of snow and freezing temperatures mixed in) and that can only mean one thing: SQL Saturday in Madison, Wisconsin is fast approaching – it’s actually this Saturday! 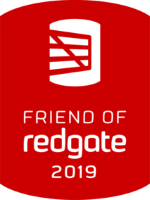 I’m very proud to once again be on the schedule to present at one of my favorite SQL Saturdays. Not only is it relatively close to home for me, but the University of Wisconsin-Madison makes for a wonderful venue! My presentation is entitled “Supercharging Your Backups and Restores For Fun and Profit”, and covers the various methods that can be used to increase the speed of SQL Server database backups. You may be familiar with query tuning, but did you know that backups and restores can be tuned in a similar way? This demo-intensive session will discuss the different phases of the backup and restore processes, how to determine which of them are the slowest, and which are the easiest to speed up. Cutting backup and restore times by 75% or more is entirely possible by using the methods covered in this session. SQL Saturday Chicago 2017 Schedule Posted! SQL Saturday Chicago 2017 is fast approaching! After receiving a total of 131 abstracts submitted by 64 speakers, we’re pleased to announce our schedule for the day. Thank you to all who submitted! Building a schedule like this is not easy, especially given the number and quality of abstracts received. Join our waiting list for a chance at a spot. As the event nears, LOTS of people find they are unable to attend and cancel their registration. As this happens, we pull from our waiting list in the order that people signed up for it. REGISTER HERE for our waiting list – the sooner you do, the greater your chance of getting a spot!